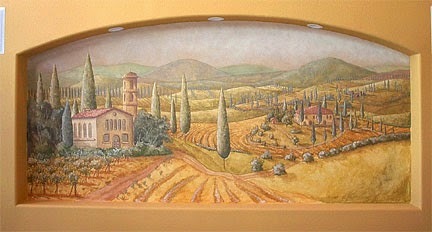 I created this scene from Tuscany in a wall niche that measures 5 feet high and 10 feet wide. 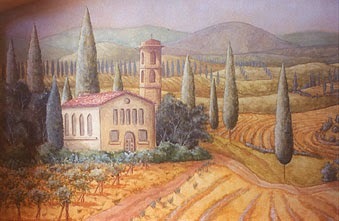 I really enjoyed painting this mural. 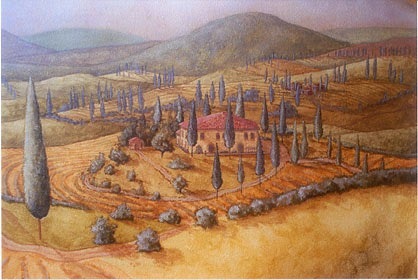 In the frist photo you can see how I have just started. 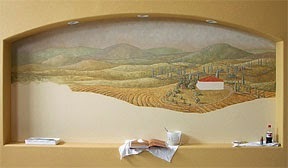 The next photographs show the finished mural and some close up areas of it.